We are pleased that you and your physician have selected us to provide your medical care. The information found here will acquaint you, and your visitors, with our services and provide information you will need during your stay with us. We are committed to providing you with quality medical services, compassionate care and modern amenities to make your stay a comfortable one. 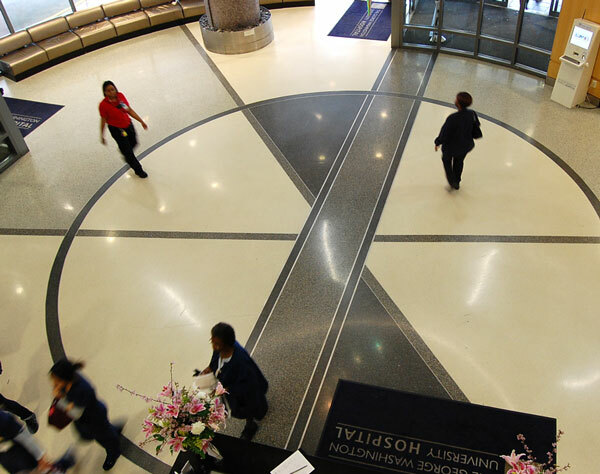 Throughout its history, the George Washington University Hospital has come to symbolize superior medical care. In 2002, the new hospital opened and continued that tradition, providing advanced medical technology and an expanded number of services. We look forward to serving you and welcome any suggestions you have to help us improve our service. If you have any questions or concerns, please do not hesitate to ask a member of your healthcare team or contact the Patient Hotline at 202-715-4195 during regular business hours. Again, thank you for choosing the George Washington University Hospital. The George Washington University Hospital is owned and operated by a subsidiary of Universal Health Services, Inc. (UHS), a King of Prussia, PA-based company, that is one of the largest healthcare management companies in the nation. The information on this website is provided as general health guidelines and may not be applicable to your particular health condition. Your individual health status and any required medical treatments can only be properly addressed by a professional healthcare provider of your choice. Remember: There is no adequate substitution for a personal consultation with your physician. Neither the George Washington University Hospital , or any of their affiliates, nor any contributors shall have any liability for the content or any errors or omissions in the information provided by this website. © 2019 George Washington University Hospital. All rights reserved.